Get the ultimate scoop on how so many people around the world got their jobs on cruise ships. As a CruiseJobFinder Member you'll be able to find all the latest job openings, read about every cruise line and their hiring partners, and find out how the whole hiring process works. Our members have access to a growing library of interviews with past and current cruise ship employers and hiring managers all over the world. Read on for just one sample! A senior marketing and PR executive with Viking Recruitment took time out to speak with CruiseJobFinder about the services they offer cruise lines. They have partnerships with Holland America, Fred Olsen, Captain Cook Cruises, Windstar Cruises, Hebridean Island Cruises, Orion, Norwegian Cruise Lines, Royal Caribbean, and Seabourn. Please describe what your company does for cruise lines. Viking has been operating for over 20 years, providing top quality service in the staffing process for marine crew of all positions. We recruit for large cruise lines and smaller luxury yachts. We also provide detailed management services to our clients including drawing up employee contracts, dealing with disputes, organizing payroll, organizing travel and flights to and from ships, and helping candidate with their visas and other documentation, including medical. We like to think of ourselves as being in partnership with those who apply for jobs with us. Yes, we focus on recruiting engine, deck, and other technical crew, but also specialize in recruiting hospitality staff. The more technical jobs are harder to fill, simply because of the requirements and qualifications needed. We offer a complete crew management facility and aside from interviewing and placing crew, we also offer training and support so that crew members can continue to move up the ranks towards the higher paying, more senior end of the spectrum. Being enthusiastic and energetic are givens, but other personality traits you need to show us are determination, resilience, a positive attitude, a keen interest in the industry and in your job, flexibility, excellent personal appearance and pleasant demeanor. When you start looking for a job in this industry, it is important to be ready at all times. You might be called to an interview or training at any time, and when you have passed all these hurdles, you will need to be ready to board the ship when they call. Preparation is important, so have all the necessary paperwork handy. Also, be confident and friendly in your interview. We like to see that candidates are excited and interested in the work and are very responsible and mature. This varies. After you have been selected by us and have completed your training, you can be called upon almost immediately if there is an opening, but you could also have to wait a few months before you are needed, so it is hard to be specific. We try to build and garner a good relationship with clients and job seekers alike and will always make ourselves available to our recruits for any questions, help, or to secure them another contract. 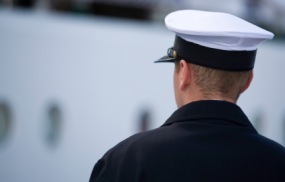 As an officer, most people are pretty clued up on the life at sea and understand what is required of them. Usually there are no misinterpretations about cruise ship work, but one of the more common things, could be that crew members think that they will get to tour exotic locations. Most of the time, especially if you work in the engine room or down below decks, you will not get to experience the travel side of things all that much.